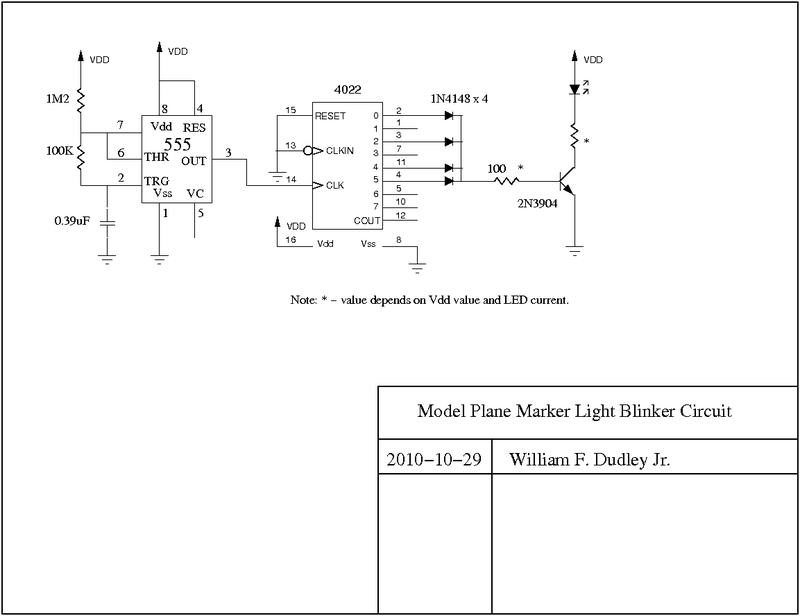 A friend who flys model aircraft asked me to design a circuit to blink an LED in the standard marker light pattern. This pattern is: short on, short off, short on, short off, long on, long off. The trendy/expensive way to build this is to use a microprocessor, but there's a lot of overhead to that, in that you have to be able to write the code and then program the micro; not easy for the average guy who can solder components but has no programming knowledge. My friend wants to be able to make copies of this circuit for all his airplanes. I realized that a three-bit counter with 8 decoded outputs would be able to yield the "short short long" pattern. 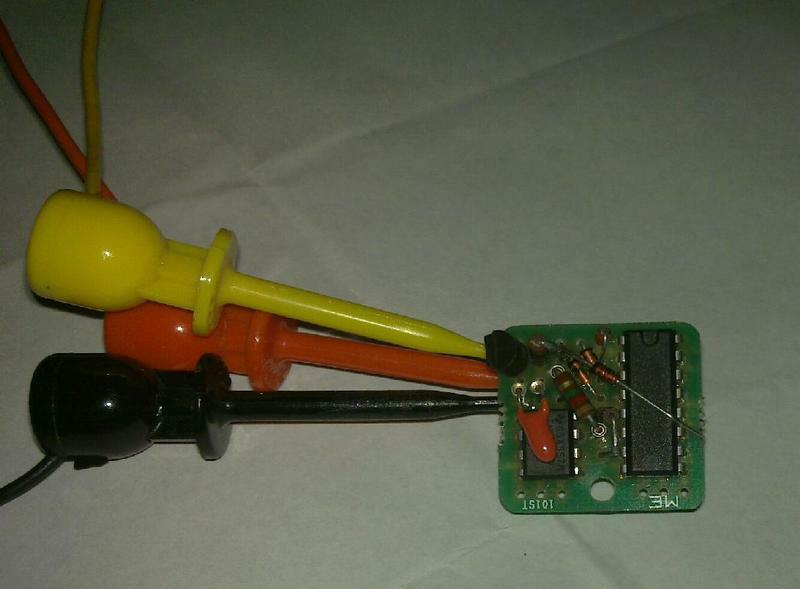 Since this wants to run off a 3.6v LIPO battery, it needs to be built in modern low-voltage CMOS. 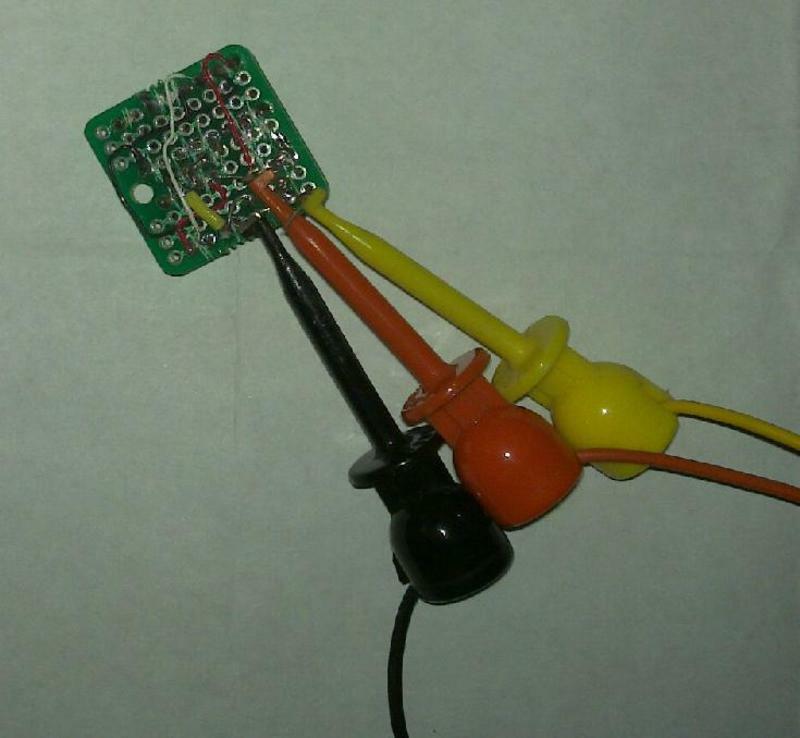 The oscillator is this low voltage 555 timer. It costs about $0.75 in onsies and runs down to 2 volts. The counter is this 4022 Counter. It costs about $0.45 in onsies and runs down to 3 volts. The last bit of circuit is a 4 input "OR" gate built from four diodes, which "OR"s the outputs of the decoded counter output to give the "short short long" pattern.